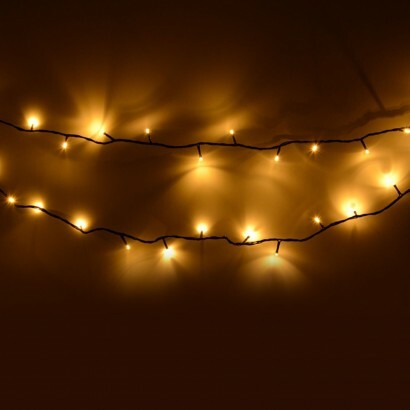 Give a little twinkle to your interiors and outdoors with beautiful warm white super bright fairy lights for enchanting home and garden decoration. 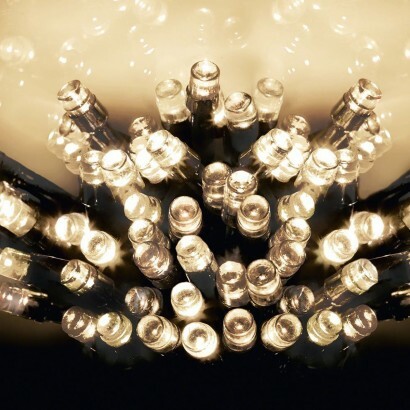 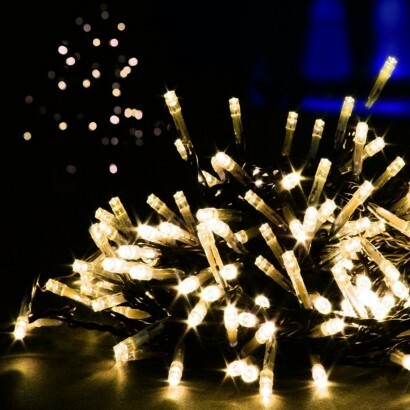 Two hundred warm white LEDs cover 20m of cable to give extra sparkle to your space and with eight cool modes, you have a whole host of functions for the ultimate atmosphere whatever the time of year or occasion. 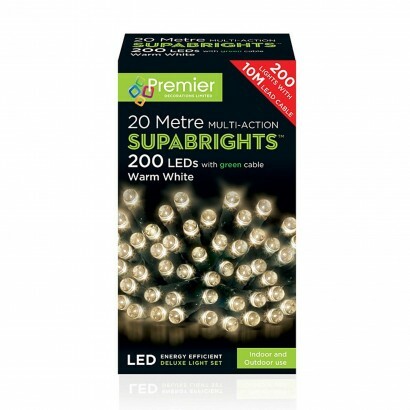 The green cable makes these supabright fairy lights ideal for location outdoors camouflaged among trees and greenery and the 8 hours on/16 hours off timer function means that they can be placed and then left to switch on at the same time every evening.